Posted in: Helpful Hints, Photography. 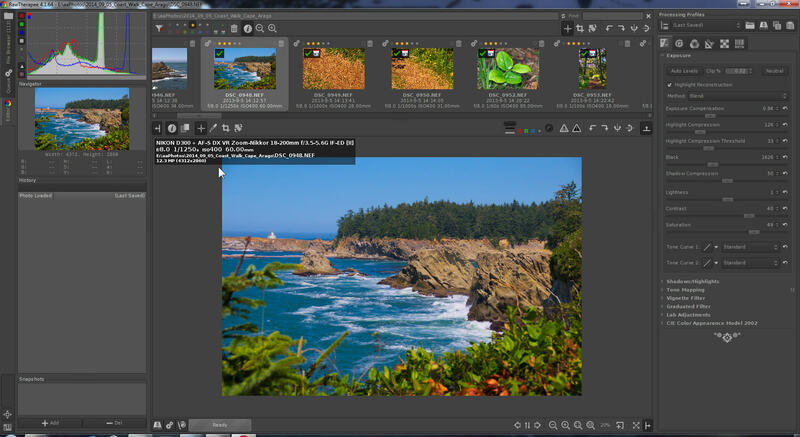 RawTherapee is a photo processing and organization program. I have used Adobe Lightroom a few years / versions ago. I used RT a couple of years ago, but not carefully. I have upgraded my systems to SSD system disks, and if you have SSDs there are somethings that you’ll need to do before you start using RT. The first issue is the cache. This will easily take up many 100’s of MB of your SSD and cause many needless write operations. The cache defaults to the C:\Users\username\AppData\Local\RawTherapee4.1\cache The current version of RT has a very inconvenient way to set the cache folder. In the system control panel >> Advanced >> Environment variables, set a variable in the user settings for the RT_CACHE to the path. Also set the paths for other items such as Dark Frames, Flat-Field and Film-Simulation to a HD. 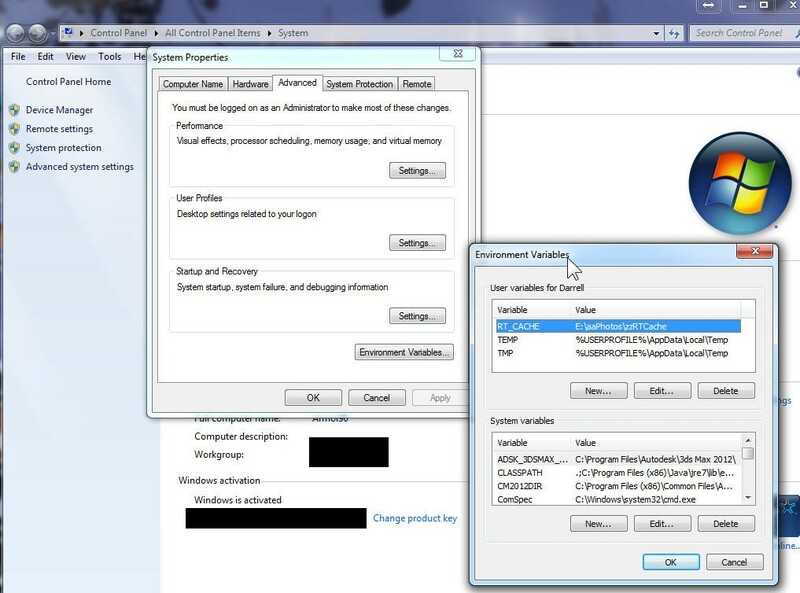 These default to the RT install folder, and that’s not a good idea since on Windows the install folder is shadowed by a virtual folder in the users folder tree. To optimize processing performance set the number of threads to use. My Core i7 processor has eight threads, so I set the max threads to four. 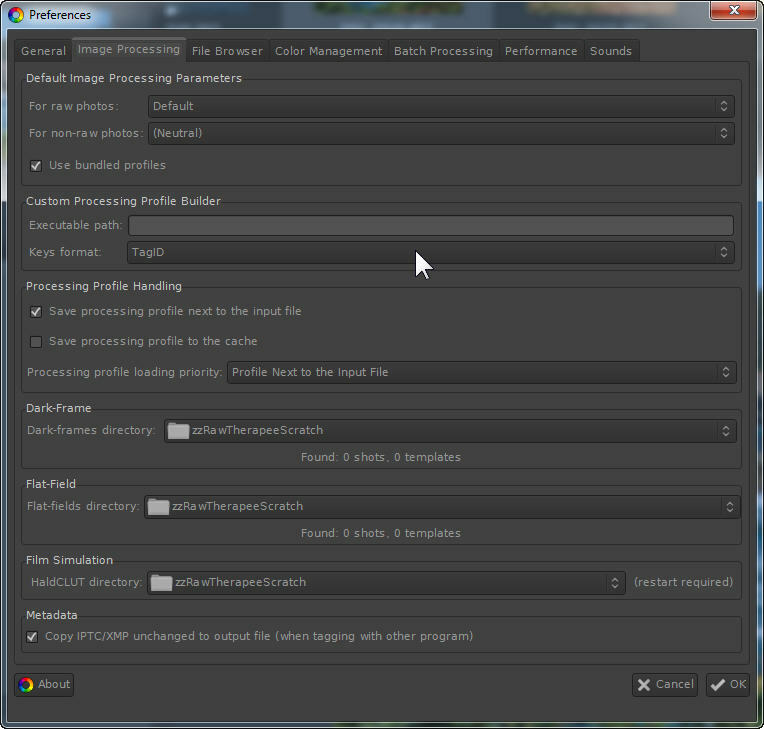 The first problem in the workflow is to select the files that you want to process. I set my D300 to RAW + Basic mode which stores a NEF and a JPG file for each picture taken. To avoid seeing the JPG files in the file browser and editor thumb strip, uncheck the JPG and JPEG in the file type selector preferences. To avoid looking through too many files as while processing photos, use the Star settings or the Color settings that can be set in either the file browser or the thumbstrip. 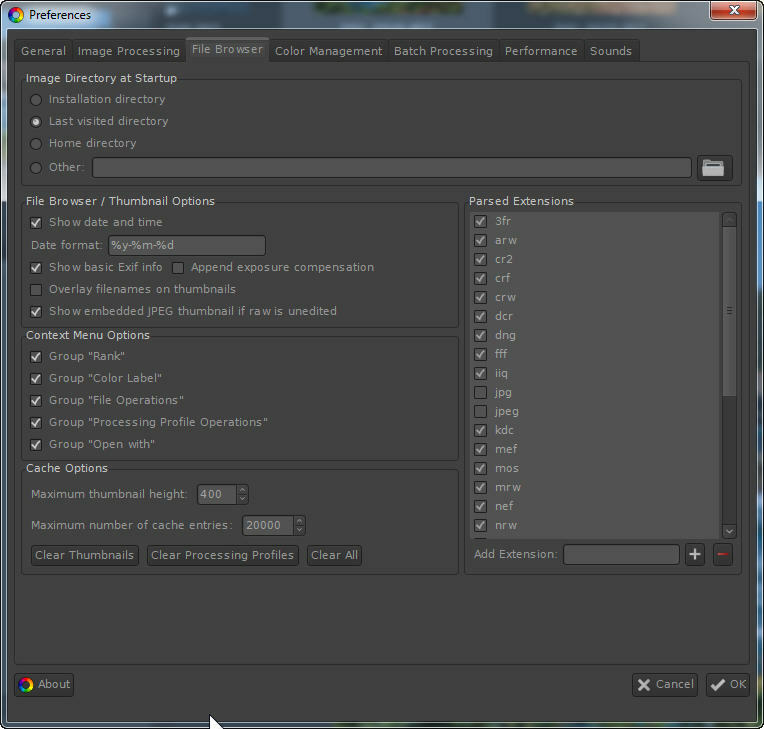 To set a filter, click on the filter settings at the top left of the thumbstrip of the editor pane. There are a few impressions that I have after processing a couple of hundred images from a hike along the coast and from images from earlier shoots. Using Auto Levels is a little confusing. At first there may be no change since the JPG hidden in the raw file may be displayed and may show almost the same result. If you click Neutral and then Auto Levels again you will see the change. Ctrl/ C – Ctrl/ V is useful to move settings from one image to one or more others. Use Ctrl/ B to chose thumbnails to process images. Choose the Queue tab, and click start. RT works as well as LR, at least the LR that I used a while ago. 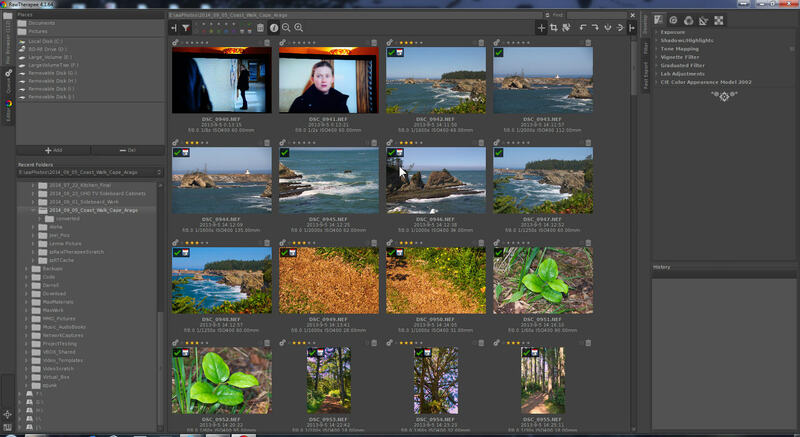 RT uses no central database makes backing up photos with their processing info much easier. Apparently a setting in LR makes it possible to store processing info locally.